Lucas Samaras, Untitled, August 4, 1974. Pastel on paper, 13 x 10 inches. Lucas Samaras, Untitled, August 10, 1974. Pastel on paper, 13 x 10 inches. Lucas Samaras, Untitled, August 30, 1974. Pastel on paper, 13 x 10 inches. Lucas Samaras, Untitled, October 17, 1974. Pastel on paper, 13 x 10 inches. Lucas Samaras, Untitled, October 22, 1974. Pastel on paper, 13 x 10 inches. Lucas Samaras, Untitled, September 9, 1974. Pastel on paper, 13 x 10 inches. 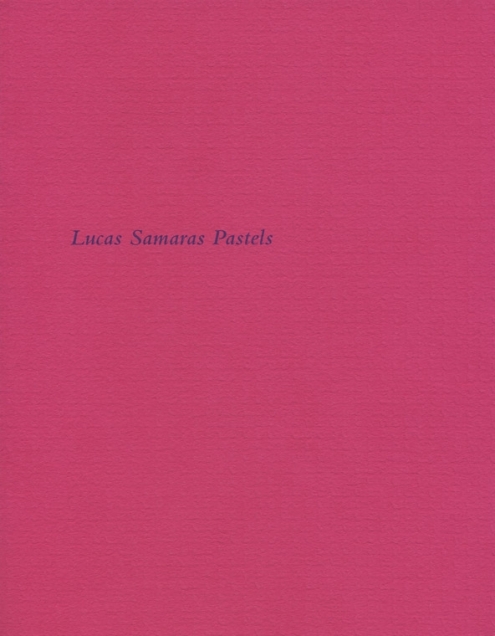 NEW YORK – Craig F. Starr Gallery is pleased to announce Lucas Samaras Pastels, on view from June 7 to August 9, 2013. The exhibition showcases eighteen drawings from 1974 and 1981, as well as three of Samaras’s densely embellished boxes. A fully illustrated catalogue accompanies the show with an essay by Daniel S. Palmer, doctoral candidate in Art History at The Graduate Center, CUNY. 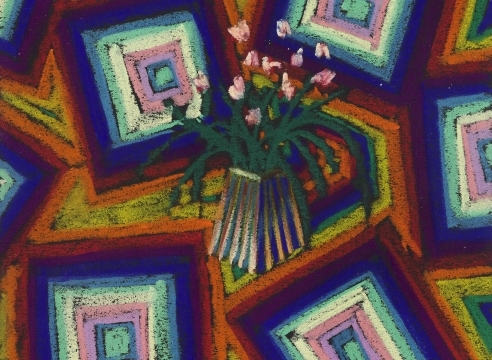 In 1974, Samaras produced more than 100 pastels. Working in concentrated bursts, he made fantastically patterned drawings that bridge the gaps between landscape, still life, and self-portraiture. These works evoke the inner landscape of the artist’s mind. As sites of personal exploration and self-reflection, these striking pastels exploit the medium’s intrinsic qualities in dreamlike scenes, many of which contain ghostly figures embedded in their patterning. The active process of discovering this hidden imagery elicits personal inquiry in the viewer as it reveals the artist’s own unconscious desires. Deciphering these mysterious forms parallels the psychological process we enact when we retrieve an image from memory. With his intricate boxes, Samaras explores similar issues of identity and memory, concealing caches of photographs and mementos within threatening, patterned exteriors. As part of his continual investigation of the self, Samaras’s boxes and pastels broaden the boundaries of self-portraiture.